Over 5 years, the FireCheckout module is still on the top. We keep getting lots of positive reviews. A great incentive to keep working in order to bring much better customer practice in a checkout process. 5 out of 5 based on 129 ratings. Argento ThemeRead client reviews. Is FireCheckout available for immediate download? Sure! You will be able to download FireCheckout package immediately after placing your order. Download link will be included in your order confirmation email. What Magento version FireCheckout is compatible with? FireCheckout is created and thoroughly tested with Magento CE 1.7.x, Magento CE 1.8.x, Magento CE 1.9.x, Magento EE 1.11.x, Magento EE 1.12.x, Magento EE 1.13.x, Magento EE 1.14.x, Magento CE 2.1.x , Magento CE 2.2.x and Magento CE 2.3.x. Right now we are not planning to include compatibility for older Magento versions. Sure! FireCheckout is compatible with the most popular online payments and shipping methods. You can follow them in KnowledgeBase Third Party Modules Integration page. You can also request third party modules integration for free. Does FireCheckout match the Magento 2 version? Yes. We provide you with two versions of FireCheckout that are available both on Magento and Magento 2. 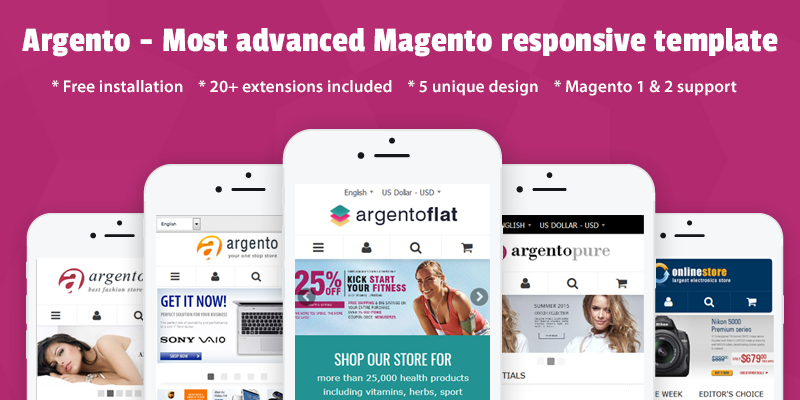 The FireCheckout for Magento 2 includes 10 additional modules in a package. The module comes with 5 checkout page layouts. Our support offer includes installation, guidelines and troubleshooting. FireCheckout comes with 1 year of support and updates. After that period updates and supports are still available at a cost of 30% of extension price. How many stores i can use FireCheckout at? You can use FireCheckout on as many stores as you need but the number of Magento installation is limited to 5 under the standard license. Will my extension work in case support period will be over? Yes, sure it will work. Your license still will be valid but you will not be qualified for support and updates.